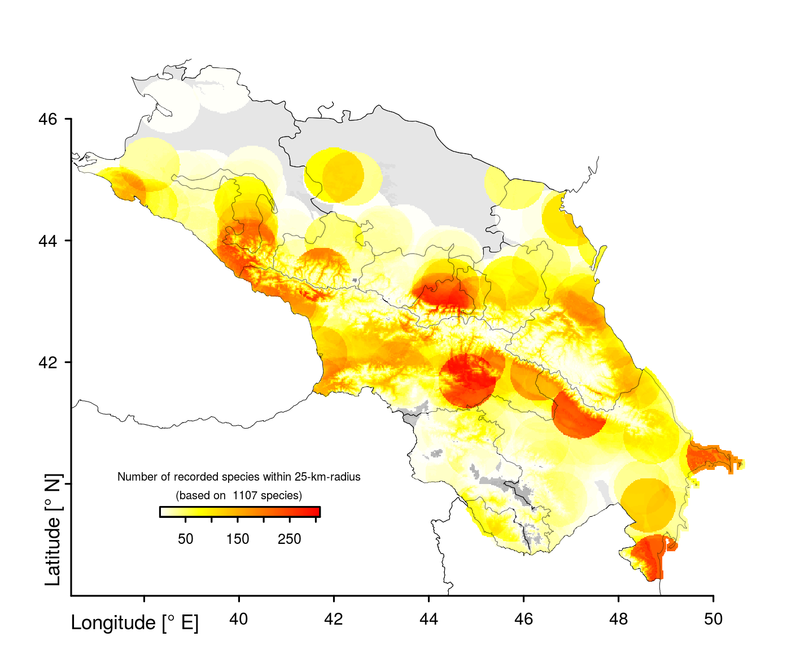 A record density plot (see above) showing relatively well visited regions and regions with few or no spider records at all (gray and white areas in the plot). More information on spider diversity patterns is given in the pages on landscape & habitat diversity and species diversity patterns. Utochkin (1968) with descriptions of three species: Xysticus caspicus, X. spasskyi (= X. umbrinus), X. ukrainicus. Ponomarev & Komarov (2013) on the spider fauna of North Ossetia-Alania added 637 records, including first records for the Caucasus for Porrhomma campbelli, Tiso vagans, Troxochrus scabriculus, Pardosa albatula, Ero cambridgei, Enoplognatha tecta, Theridium mystaceum, Ozyptila claveata, Titanoeca psammophila and possibly Gnaphosa reikhardi. 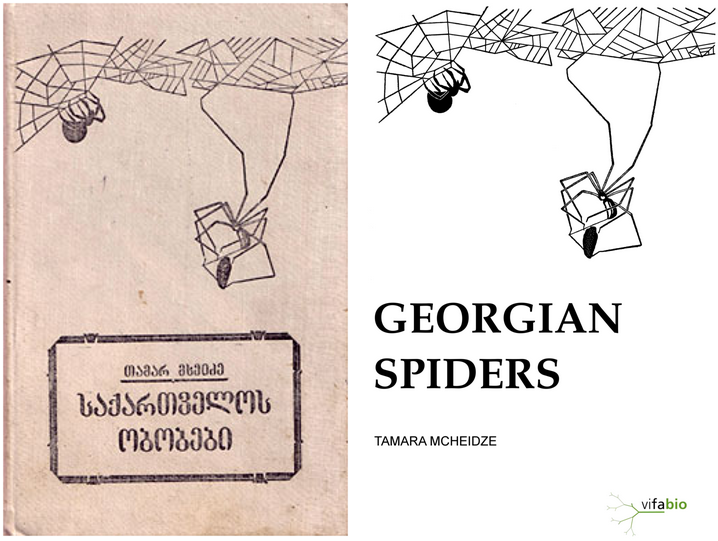 Martinovchenko & Mikhailov (2014) with 210 records of spiders in Teberda Reserve with five first records in the Caucasus Ecoregion: Agyneta simplicitarsis, Alopecosa fabrilis, Thanatus striatus, Zora alpina and Zora manicata. Dieser Beitrag wurde am Oktober 19, 2015 von Stefan in Database Update, New Version veröffentlicht. Schlagworte: checklist, database file, Version 1.4.